Pages in category "Singlechart usages for Billboardpopsongs"
The following 200 pages are in this category, out of approximately 2,331 total. This list may not reflect recent changes (learn more). Airplanes is a song by American rapper B. o. B, featuring vocals from Hayley Williams, lead singer of American rock band Paramore. The song was released in April 2010, as the single from his debut studio album, B. o. B Presents. B. o. B co-wrote the song alongside Kinetics & One Love, Alex da Kid, DJ Frank E, DJ Frank E co-produced the song with Alex da Kid. The song was released to iTunes on April 13,2010, Airplanes peaked at number two on the US Billboard Hot 100. Internationally, the song topped the charts in New Zealand and the United Kingdom, and peaked within the top ten of the charts in Australia and the Republic of Ireland. Airplanes, Part II, the sequel to the song, features new verses from B. o. B, and this collaboration led to a Grammy nomination for Best Pop Collaboration with Vocals. Airplanes was composed by B. o. B, Jeremy Kinetics Dussolliet, Tim One Love Sommers, DJ Frank E, Alex da Kid Grant, and Christine Dominguez. B. o. B wrote his rap verses, while Kinetics & One Love and Christine Dominguez wrote the chorus sung by Paramore lead singer Hayley Williams, the original version had verses written by Lupe Fiasco. Later, the song was given to B. o. B by his label, Williams appearance in the song was explained by herself and B. o. B in different interviews to MTV. Williams said Paramore was on tour when she was given the song and she liked the part too much, B. o. B said he has always been a Hayley fan and he did not expect a collaboration between them too soon. The duo did not get in the studio together to record the song, they were not together to shoot the music video, and had never even met each other in person, according to Williams. The only time that B. o. B and Williams were able to meet was when they performed Airplanes live for the first time together during the 2010 MTV Video Music Awards. The second time the song was performed live was during Vanderbilt Universitys Fall 2010 Commodore Quake concert in Nashville. During B. o. B. s performance, Williams came out as a special guest to perform the song, a music video was filmed with Williams. B. o. B shot his scenes for the video in April, the music video, directed by Hiro Murai, premiered on iTunes on June 15,2010. All About That Bass is the debut single by American singer and songwriter Meghan Trainor. Released by Epic Records on June 30,2014, it was recorded for her 2014 debut EP and her 2015 studio album, lyrically, it discusses positive body image. Several publications included it among the best songs of 2014 and received Grammy Award nominations for Record of the Year and it spent eight weeks atop the US Billboard Hot 100 and topped the charts in other twenty countries, including Canada, New Zealand and the United Kingdom. The song sold 11 million units worldwide, becoming the third best-selling song of 2014, Fatima Robinson directed the songs accompanying music video, a viral online success that was noted for its visuals and lighthearted nature. The song inspired a variety of videos and tributes, while Vogue recognized it as part of the era of the big booty. Trainor has performed it on television and at concerts. Trainor regularly performed the song during her 2015 concert tours, the That Bass Tour, developed in September 2013 by Trainor and American songwriter and producer Kevin Kadish, All About That Bass was written in 40 minutes. At the time the song was written, Trainor lacked a contract but was writing tracks for other artists. Kadish recalled the session as a date and felt they had a strong chemistry. The pair wrote the song with the intention of handing it to recording artist. Kadish proposed the song title All Bass, No Treble to Trainor who and she responded to Kadish with the tracks hook, Im all about that bass, no treble. Suggesting the topics booty and thickness for the song, Trainor got inspiration from the difference between the bottom and top sections of a bass guitar. Trainor and Kadish discussed their love for 1950s music, and decided to incorporate the style into the song along with doo-wop because Trainor felt that the genre was very catchy, Kadish developed a modern beat for the song and Trainor began freestyling the first verse. She felt encouraged by the result and pictured the song to contain a theme of girl power, Trainor intended for the songs lyrics to be about self-acceptance of body type, a theme inspired by her own struggles in self-image as a teenager. 21 Guns is a song by American punk rock band Green Day. It was released as the single from their eighth album. The single was released through Reprise Records on May 25,2009 as a digital download, the song has been a success on the Billboard Hot 100 chart, peaking at No. 22, which has become their highest charting single since 2005 and it was nominated for a Grammy for Best Rock Performance by a Duo/Group with Vocals and Best Rock Song in 2010. 21 Guns addresses the topic of patriotism, according to Q, the song is a mammoth power ballad with a chorus like Mott the Hooples All the Young Dudes. William Goodman from Spin agreed, comparing the song to All The Young Dudes, entertainment Weeklys Simon Vozick-Levinson described it as a sensitive arena rock cut that made us think of Totos Africa. While the chorus sounded more like ELOs Telephone Line, a Rolling Stone article commented that it has a dash of Boulevard of Broken Dreams to it. Spins Goodman agreed, This track covers a lot of territory in its five minutes, but the chorus holds the killer hook, as Armstrong hits highs with his voice in a thrilling moment. The song has received critical acclaim, chris Fallon writing for AbsolutePunk commented that it is arguably the albums highlight, presenting an anti-war ballad that is both monumentally enduring and sophisticated protest. James Montgomery of MTV News described it as a cell-phones-in-the-air anthem, colin Moriarty from IGN wrote that the track is perhaps the best song on the album as a whole, is a multi-faceted song with a pretty poignant message to boot. Jordan Richardson of Blogcritics commented, Its the album’s anti-war hymn, mayer Nissim gave the song 3 out of 5 stars, writing, It combines verses reminiscent of Neil Youngs Heart of Gold with big power-pop chord changes and choruses that soar in all the right places. The jerky charm of the earlier work may be missing. However, Adam Downer from Sputnikmusic gave a review, commenting that it sounds like a terrible rewrite of something John Lennon never released. 21 Guns was released to modern punk radio stations on May 25,2009, although it had already played on some radio stations. Again is a song by American singer-songwriter Janet Jackson, appearing first as the closing song to Jacksons debut film, Poetic Justice, and included on her fifth studio album, janet. Some critics praised it as a highlight from janet. and a classic, Again received Golden Globe and Academy Award nominations for Best Original Song. Two music videos for the song, directed by Jacksons then-husband René Elizondo, Jr. were released, one with, the song was covered by How to Dress Well for his second album, Total Loss and sampled by Iyaz on his single Solo. In 1992, Jackson filmed her first film, Poetic Justice, in Poetic Justice, Justice uses her poetry to deal with her grief after her boyfriend is killed in a shooting incident at a drive-in. I wanted to do something lighter but daring, when I wrote the album, I was still in a poetic frame of mind, inspired by Mayas beautiful language. Again was originally a sound the production duo Jimmy Jam & Terry Lewis was considering for the album. While Jackson found its melody compelling, the trio did not give the song serious contemplation until the producers from Poetic Justice requested a ballad for the films soundtrack. Jackson subsequently wrote the lyrics for Again and shaped them around Jams melody, the song was eventually included as the closing song to the film, but was not included on its soundtrack album. It was released as janet, Again was written and produced by Janet Jackson, Jimmy Jam & Terry Lewis. It is set in time with a key of C major. Jacksons vocal chords ranges between the nodes of low-tone G3 to high-tone D5. The song is in a tempo of 64 beats per minute with the chord progression being set like C–G–Am–F–C–Dm7/G in the first verse. Again is a piano ballad, based on a lost love. The songs story is running into an old friend, only to discover that the feelings for that person are as strong as ever. Kinda late in the game and my heart is in your hands, dont you stand there and tell me you love me and leave me again, she sings. Despite calling it a throwaway, Alex Henderson of Allmusic picked the song as a highlight from the album, sal Cinquemani of Slant Magazine called it the most treacly, saccharine ballad Janet has ever recorded, complete with the kind of teary breakdown one might expect from her brother. Acapella is a song by American music duo Karmin. It was released on July 9,2013 by Epic Records as the single from their debut studio album. The single was written by group members Amy Heidemann and Nick Noonan, as well as Sam Hollander and Boys Like Girls frontman, Martin Johnson, who produced the single. The single was co-written by group members Amy Heidemann and Nick Noonan, along with Sam “S*A*M” Hollander, the instrumental concept of the song was inspired by the film Pitch Perfect, a movie about an all-A cappella singing group. The song itself is a mix of human voices with limited instrumentation, over a booming bass line, Amy raps about finding Mr. Right and realizing he wasn’t so perfect after all. Acapella has received mixed reviews from music critics, Amy Sciarretto of the website PopCrush gave the song 4 stars out of 5, stating Acapella is a song about gaining your independence from dudes who are duds. Thematically, it could be this decade’s answer to ‘Single Ladies, ’ without being quite so anthemic and obvious. Goes The Charts called it a song, noting that they sound like they’re having fun. Acapella entered the Australian ARIA Singles Chart at number seventeen for the week of July 28,2013, in New Zealand, the single is rising steadily, reaching a new peak of number nine, and is following the success of Brokenhearted, which peaked at number five. It was certified Platinum in New Zealand, Acapella became their third single to chart on the US Billboard Hot 100, reaching number seventy-two. It Has Been Certified Platinum in Australia for Selling 140,000 Copies there, Karmin first performed the song live in an acoustic setting for Ryan Seacrests Pick Your Purse party in late June 2013. On July 10,2013, the duo performed the song on Jimmy Kimmel Live, along with several other songs to be featured on their upcoming debut album Pulses. The music video for Acapella was directed by Matt Stawski, while creative direction, filming took place in early June 2013. The treatment for the video was written by band member Amy Heidemann and Nick rock red and green color-coordinated outfits and accessories while performing choreographed moves. All I Want for Christmas Is You is a Christmas song performed by American singer and songwriter Mariah Carey. She wrote and produced the song with Walter Afanasieff, Columbia Records released it on November 1,1994, as the lead single from her first holiday album and fourth studio album, Merry Christmas. Christmas is a love song that includes bell chimes and heavy back-up vocals. The songs lyrics declare that the narrator does not care about Christmas presents or lights, Careys then-husband Tommy Mottola makes a cameo appearance as Santa Claus, bringing Carey a gift and leaving on a red sleigh. The second video was filmed in black and white format, and features Carey dressed in 1960s style in homage to The Ronettes, alongside back up singers, Carey has performed All I Want for Christmas Is You in a slew of live television appearances and tours throughout her career. In 2010, Carey re-recorded the song for her holiday album, Merry Christmas II You. Carey re-recorded the song as a duet with Canadian singer Justin Bieber for his 2011 album Under the Mistletoe, the song has been covered by many artists over the years. The Daily Telegraph hailed All I Want for Christmas Is You as the most popular, Rolling Stone ranked it fourth on its Greatest Rock and Roll Christmas Songs list, calling it a holiday standard. In December 2015, the peaked at 11 on the Billboard Hot 100. With global sales of over 14 million copies, the song remains Careys biggest international success, as of 2013, the song was reported to have earned $50 million in royalties. Following the success of the singers 1993 career best-selling album Music Box and her management at Columbia Records began devising ideas and strategies for subsequent projects. Careys then-husband, Tommy Mottola, head of Columbias parent label Sony Music Entertainment, Afanasieff recalled his sentiments during initial discussions for a holiday record, Back then, you didnt have a lot of artists with Christmas albums. It wasnt a known science at all back then, and there was nobody who did new, so we were going to release it as kind of an everyday, you know, were putting out a Christmas album. 679 is the second single by American rapper Fetty Wap from his self-titled debut album. The song features Remy Boyz member Monty and former Remy Boyz member P-Dice,679 peaked at number 4 on the US Billboard Hot 100, becoming his second highest-charting single after Trap Queen. The album version of the song omits P-Dices verse, only featuring Monty,679 was released on June 29,2015. The name 679 comes from Waps birthday, which is June 7,1991, Wap stated that he considers 679 to be his best song so far. Wap and Monty performed the song on The Tonight Show Starring Jimmy Fallon in September 2015,679 was written by Fetty Wap and Remy Boyz. The song was produced by Brian Peoples Garcia, each song concluded with trademark 1738 and yeah baby. Once again, this furthered the fact that his crew was more like a family, the video for 679 was released to the WorldStarHipHop official YouTube channel in May 2015. It was uploaded to Fetty Waps YouTube channel in July 2015 and has over 252 million views as of January 21,2016, the song is briefly heard in the television shows Empire and The Quad. 2 On is a song by American singer-songwriter Tinashe for her debut studio album Aquarius. The song, which features a rap verse from American rapper SchoolBoy Q, was written by Tinashe, Schoolboy Q, Bobby Brackins, DJ Mustard, Jon Redwine, and Marley Waters. 2 On was released as Tinashes commercial debut single from Aquarius on January 21,2014 and was sent to US rhythmic contemporary,2 On is an electro-R&B song that contains elements of trap production. Lyrically, the song is a party song about living life to the fullest, music critics mostly praised the song for its sound and carefree lyrics,2 On was noted by critics as a departure from Tinashes murky alternative R&B that was heard in her previous work. An accompanying music video for the track was directed by Hannah Lux Davis and was released on March 24,2014, with Tinashe dancing among several different scenes. Canadian rapper Drake, released a rework of the song to his Soundcloud account. An official Spanish remix featuring reggaeton singer Randy was released on November 18,2014,2 On was written by Tinashe, Schoolboy Q and Bobby Brackins and produced by DJ Mustard, Jon Redwine and DJ Marley Waters. It is nightclub-oriented, which contrasts with Tinashes previous work such as her 2013 mixtape Black Water,2 On was released worldwide as a music download by RCA Records on January 21,2014. It impacted US rhythmic contemporary and urban radio on March 18,2014. 2 On is an electronic R&B song, marking a departure from the murky alternative R&B from her mixtapes. As a result, the writers are credited. Lyrically, the song is an anthem about being super hyped up. Although the song became her first hit and got a lot of people buzzing about the song and she spoke with VladTV to address this by saying 2 On is basically a new way of saying turn up. Being super hyped up with friends when going out. I just wanted to come up with a phrase that people can catch on to. J. Gotty, a writer for The Smoking Section, commented that made me want to rollerskate. Maybe not as rhythmic and polished as Tip and them did in ATL but I could definitely hit the rink, do a little bop once I get some speed and cut the corners. 50 Ways to Say Goodbye is a song by American pop rock band Train. It is the single from their sixth studio album, California 37 and is the fifth track on the album. It officially impacted adult contemporary and pop radio in the United States on June 11,2012 and it peaked at number 20 on the Hot 100. It was certified gold by the RIAA on September 20,2012, the success of the song led to an android app titled 50 Ways to Survive. The apps gameplay is inspired by the lyrics of the song,50 Ways to Say Goodbye is a pop rock song in the key of E♭ minor. It is in time with a tempo of 140 beats per minute. It utilizes electric guitars and a mariachi influenced brass section and acoustic guitar, some believe the song steals the riff from The Phantom Of The Opera. The lyrics are a narrative where, to save face. Nick Bassett of The Re-View compared 50 Ways to Say Goodbye to its predecessor, saying that whilst it lacks that Summery carefree vibe, the melody of the song has been compared with the song The Phantom of the Opera from the eponymous musical by Andrew Lloyd Webber. All for You is a song by American recording artist Janet Jackson, released as the lead single from her seventh studio album All for You. Written and produced by Jackson and Jam and Lewis, All for You is a song about flirting with someone on the dance floor. It received positive reviews critics and was noted for its transition to a brighter. Jackson was titled the Queen of Radio by MTV as the song made history by becoming the first single to be added to every pop, rhythmic. It set the record for the highest debut of a song which was not commercially available in both the United States and France and it is featured in the seventh edition of the American Now. Compilation album series Now Thats What I Call Music,7 and was included in two of Jacksons greatest hits collections, Number Ones and Icon, Number Ones. The songs music video received several accolades, including a nomination for Video of the Year at the MTV Video Music Awards, the prior year, Jackson released Doesnt Really Matter as her first solo single since Every Time from her album The Velvet Rope. The song was taken from the soundtrack to The Nutty Professor II, The Klumps, following the success of the song, which topped the Billboard charts for three weeks, Jackson started working on a new album, which was described as upbeat and carefree. Jacksons co-producer Jimmy Jam announced that the likely first single was an 80s-sounding dance number. Jam added, In the history of Janet, the records that are the happy records, going back as far to songs like When I Think of You to Doesnt Really Matter. This continues that tradition, with kind of a nod to the music of the 80s. The song was expected to be ready for radio in the couple of weeks, and an accompanying video will be shot shortly thereafter. It was released to radio stations on March 6,2001, britney Spears Anticipating received frequent comparisons to the song by music critics for its similar production and arrangement. All for You was written and produced by Janet Jackson and Jam and it samples The Glow of Love, performed by Change. Written in the key of G major, it has a tempo of 114 beats per minute. The release of "7 Things" was followed by allegations that it was about Nick Jonas of the Jonas Brothers. L.A. Reid decided that Trainor's demo should remain as the track's final version with additional mastering. Trainor performing "All About That Bass" during the Jingle Ball Tour on December 10, 2014. Spears performing the song during the Femme Fatale Tour, 2011. Spears performing "3" at her Las Vegas residency show, Britney: Piece of Me. Jackson performing "Again" on the Rock Witchu Tour. Jackson performing "Again" on the Number Ones, Up Close and Personal Tour. The video was shot partially in Christiana, Copenhagen, the birthplace of Lukas Graham. Madonna performing "4 Minutes" on the Sticky & Sweet Tour, as Timberlake can be seen on the backdrop. 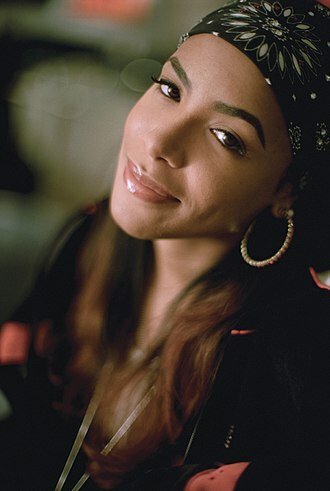 The song and its video were compared to the work of the late singer Aaliyah. Jackson performing "All For You" on the Rock Witchu Tour. Lopez performing "All I Have" during her Dance Again World Tour in São Paulo, Brazil, June 2012.